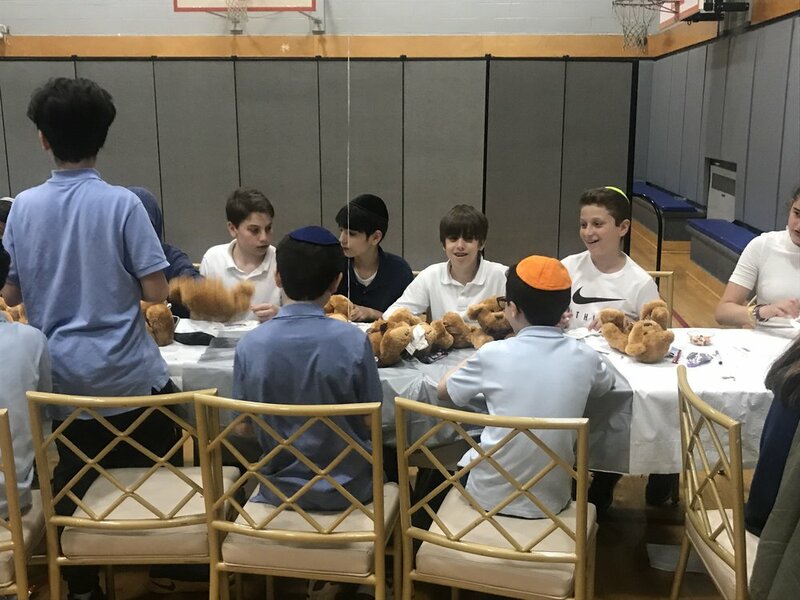 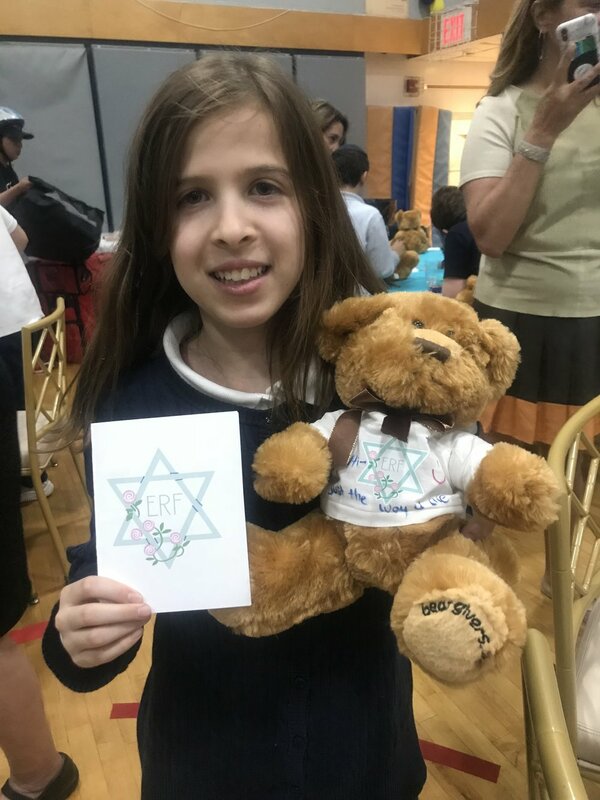 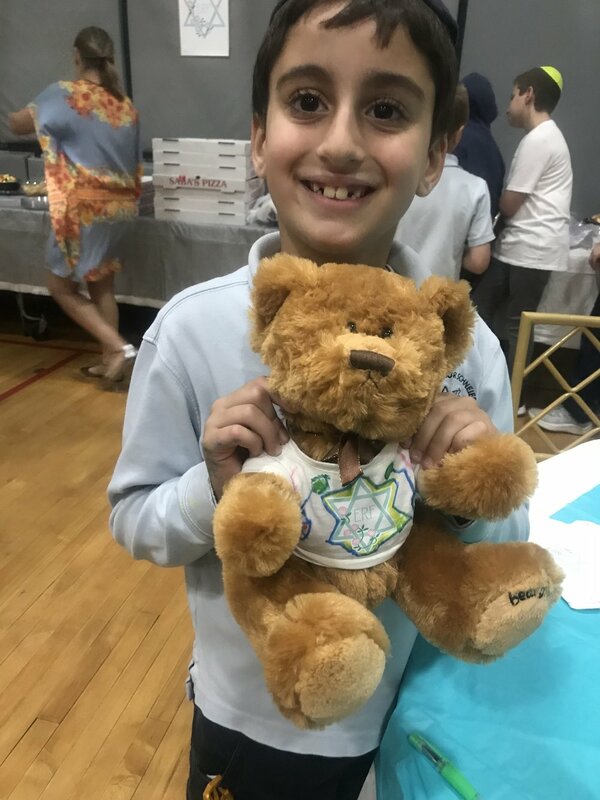 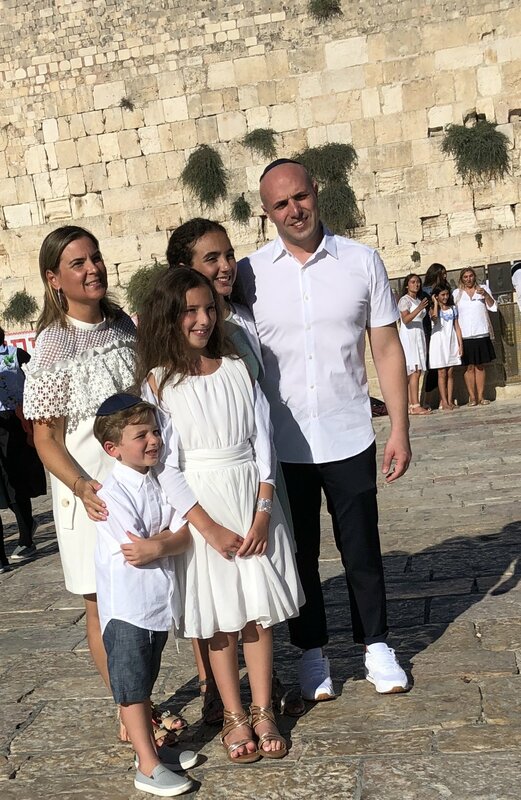 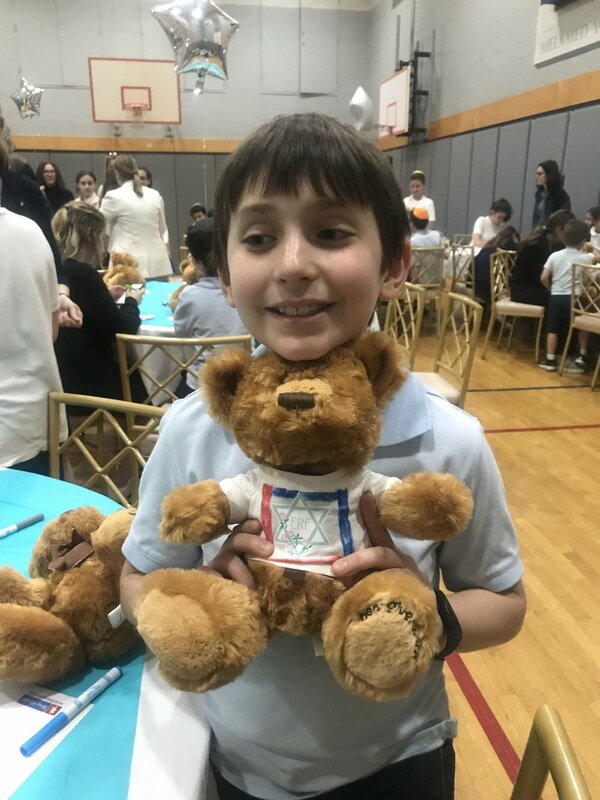 Ella-Rose became a Bat Mitzvah this summer in Jerusalem but had a pre-Bat Mitzvah Celebration at the Park East Day School on June 4, 2018, where she and her friends hand decorated cards and teddy bears to be distributed to Tzohar in Israel on July 31, 2018. 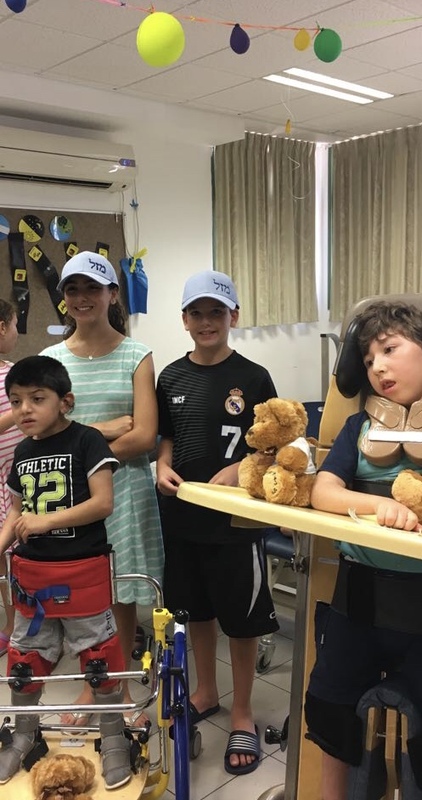 It was a wonderful experience for Ella-Rose to be traveling with the Teddy Bears all the way to Israel, so that she and her family could bring them to Tzohar, an organization which helps special needs children. 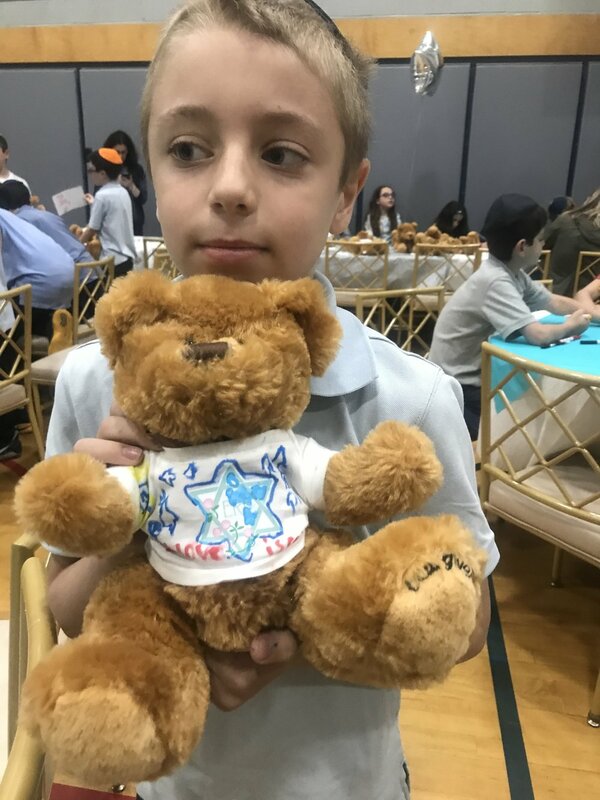 Flying the bears all the way to Israel and being able to hand them out to the children made it an extra special and meaningful Bat Mitzvah. 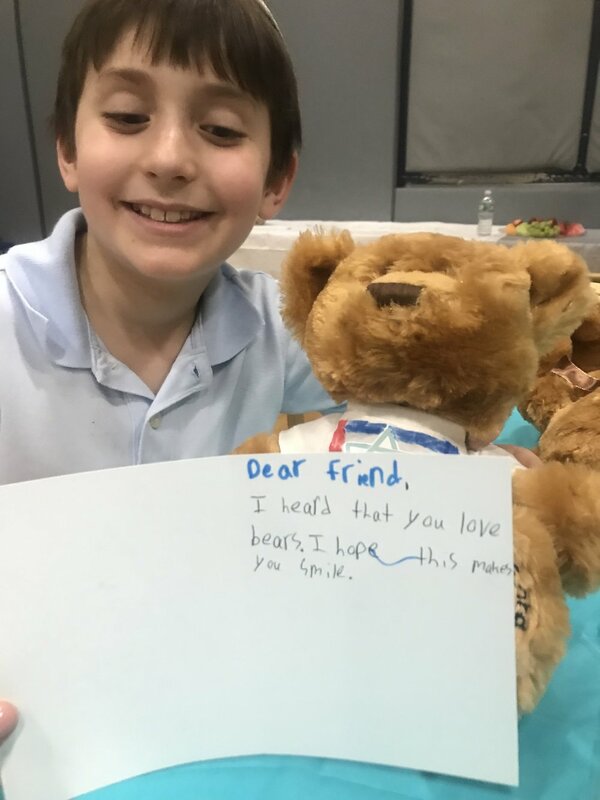 Everyone loved the Teddy Bears and was so happy to receive them!